How can I add time manually? 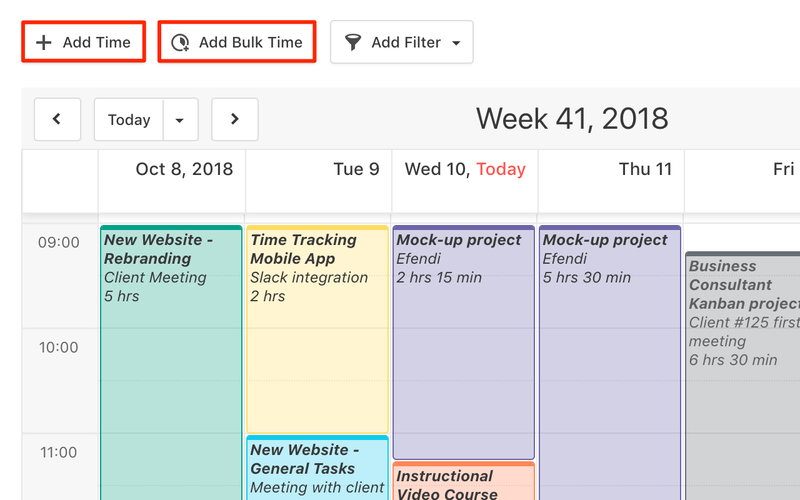 Learn how to add time manually and how to add bulk time for multiple days at once. Click on the Add time button to add a time interval or duration entry. 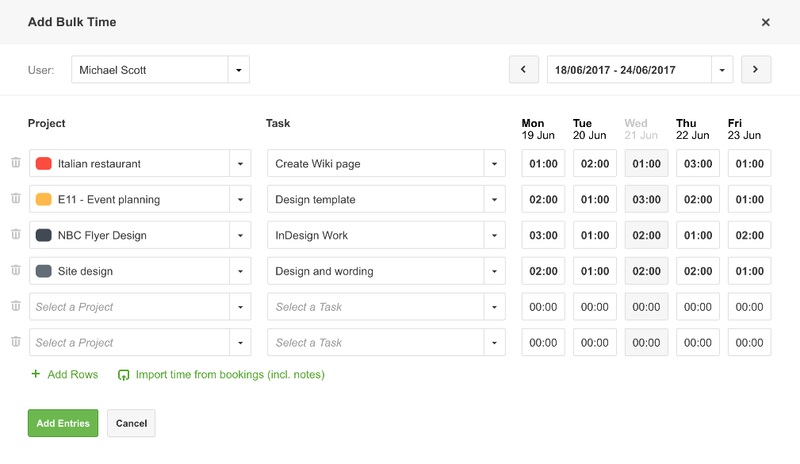 You need to select the project, task, desired time interval/duration, add notes and select the desired user. 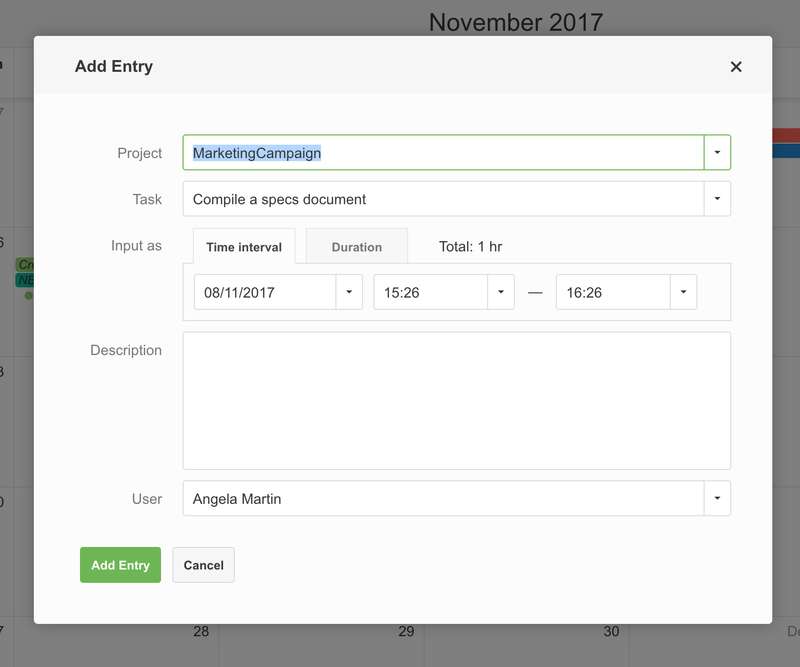 If you click on Add bulk time you will need to select the project, task, number of hours or minutes, notes and select the user. 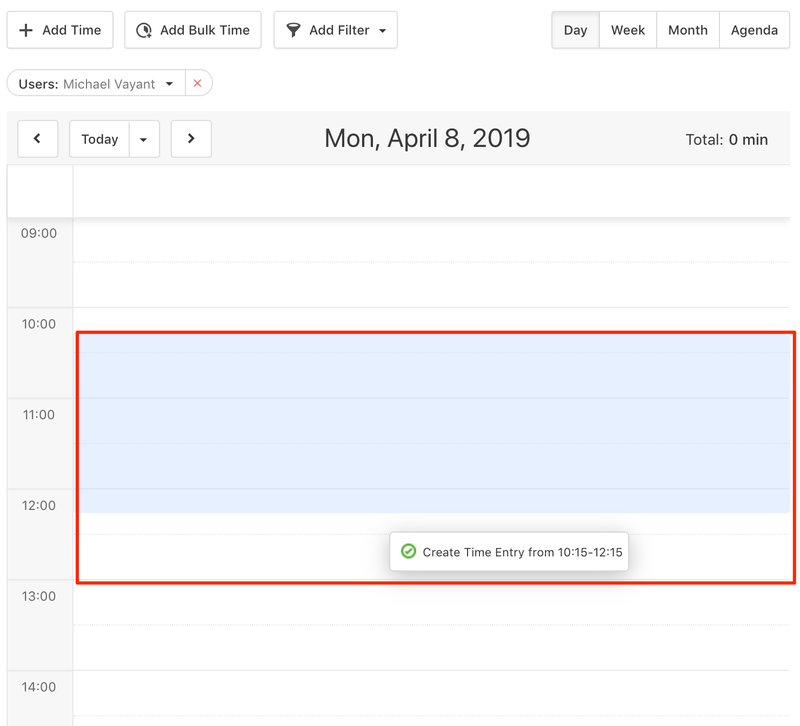 You can import time from bookings, based on your scheduled work. You can also click on the desired day or time interval and create a new entry.